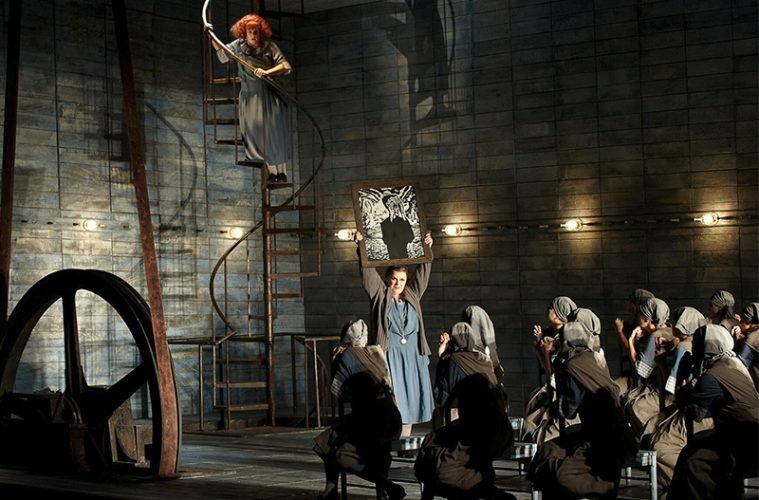 Julie Makerov (on stair) as Senta, Barbara Dever (with raised arms) as Mary, and the COC Chorus in the Canadian Opera Company’s production of The Flying Dutchman, 2010. Photo by Michael Cooper. He’s the ultimate outsider. Cursed by Satan, the protagonist of Richard Wagner’s The Flying Dutchman must sail the world’s seas for all eternity. Satan’s decree offers him just one hope of escape: Every seven years, the Dutchman can come ashore. If he finds a woman who vows to be faithful to him unto death, he will win his release. Otherwise, it’s anchors aweigh. Opera has a way of overriding cosmic law. So Wagner’s tormented sea captain will soon land simultaneously in two Texas cities. In one incarnation, he opens Dallas Opera’s season on Oct. 12. In another, he launches Houston Grand Opera’s season Oct. 19. The cast of Atlanta Opera’s The Flying Dutchman, as part of the co-production with Houston Grand Opera and Cincinnati Opera. Photo by Jeff Roffman. Since Hurricane Harvey’s deluge last year drove HGO from its home at the Wortham Theater Center, maybe it’s only fitting that the company returns with an opera that’s propelled by storms. But The Flying Dutchman’s resonance for today’s audiences goes far beyond that. 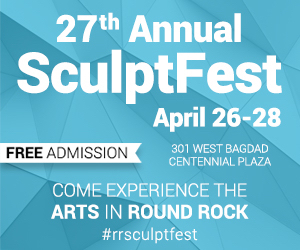 Christopher Alden, stage director of Dallas’ production, sees the Dutchman and his crew as refugees—embodiments of an upheaval that’s playing out in the actual world around us. Tomer Zvulun, who directs HGO’s staging, points out that the Dutchman is only one of the story’s outcasts. Senta, the heroine, rebels against her seaside village’s way of life. The legend of the condemned sea captain gives her a fantasy of escape, which becomes reality when the Dutchman appears. For Wagner himself, the story had autobiographical undertones. He had traveled from country to country seeking a career and success. His mind held a vision of marital devotion that his wife didn’t provide, Zvulun notes, though Wagner eventually found it realized in his second wife. And in his memoirs, Wagner said a tempest-tossed sea voyage showed him nature’s power, helping the legend of the condemned sailor come alive. 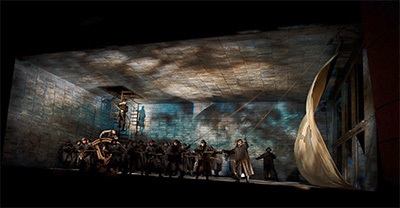 A scene from the Canadian Opera Company’s production of The Flying Dutchman, 2010. Photo by Michael Cooper. Sure enough, The Flying Dutchman’s overture begins as a tone-painting of roaring, churning waters, and the storms return repeatedly as the opera unfolds. The score, composed in Wagner’s late 20s, doesn’t call for the supersized orchestra he eventually demanded, but it again and again offers glimpses of his later works’ sonorous, ethereal and turbulent music. Especially for the title role and Senta, Dutchman needs the hefty, even heroic voices that have become synonymous with Wagner. The powerful choruses for the sailors add another layer of sonic heft. “It’s an amazingly intense piece, where the tension is ratcheted up as the piece goes on—more and more and more,” says Alden, who directed an earlier Flying Dutchman staging in 1978 for his Dallas Opera debut. “What we love about Wagner’s operas is that Wagner took the operatic art form…to new extremes in talking about human beings and society. Neither production will offer audiences the Norwegian coastal village of Wagner’s official setting. 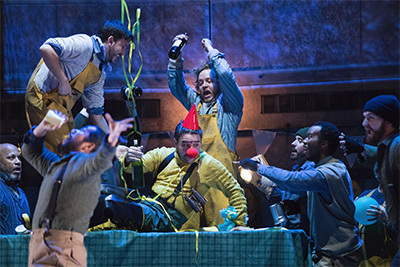 Alden’s Flying Dutchman, with sets and costumes by Allen Moyer, plays out in what’s essentially a giant box: It underlines the idea, Alden says, that the villagers are living in a box, with the men and women obeying the rules and roles set down by tradition. Into that setting come the Dutchman and his crewmen, whose costumes bear the horizontal stripes of prisoners’ garb. 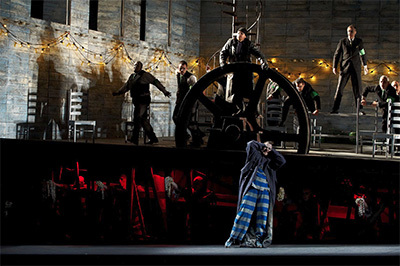 Adam Luther (at wheel) as The Steersman and Evgeny Nikitin as The Dutchman with the COC Chorus in the Canadian Opera Company’s production of The Flying Dutchman, 2010. Photo by Michael Cooper. The set, designed by Jacob A. Climer, suggests an early 20th-century industrial site. But the production at times leaves that behind, as video projections immerse the audience in storms or in Senta’s fantasy world. “We live in a world where the expectations of the audience are very high,” says Zvulun, Atlanta Opera’s general and artistic director. 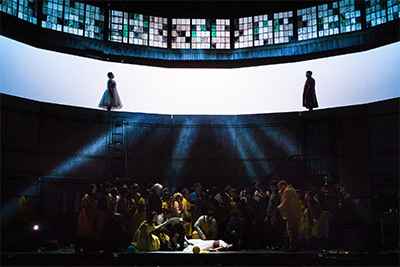 “In order to draw an audience to come and see something—to separate them from their handheld devices or Netflix—you have to provide something that is spectacular and arresting, not only from a musical standpoint, but from a visual standpoint.